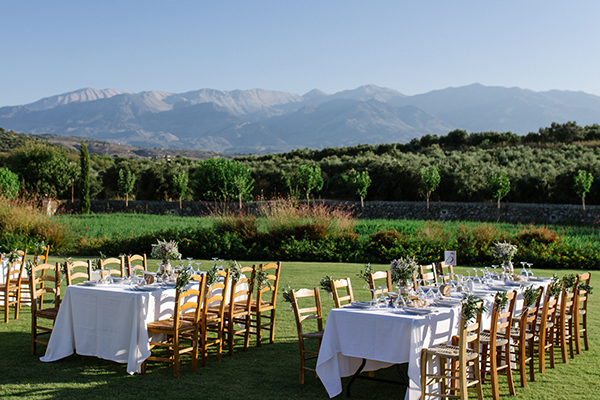 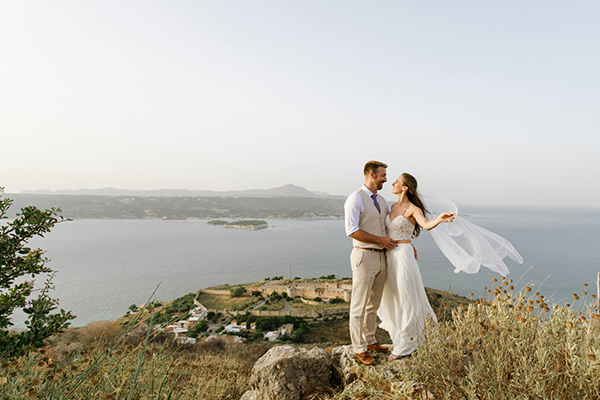 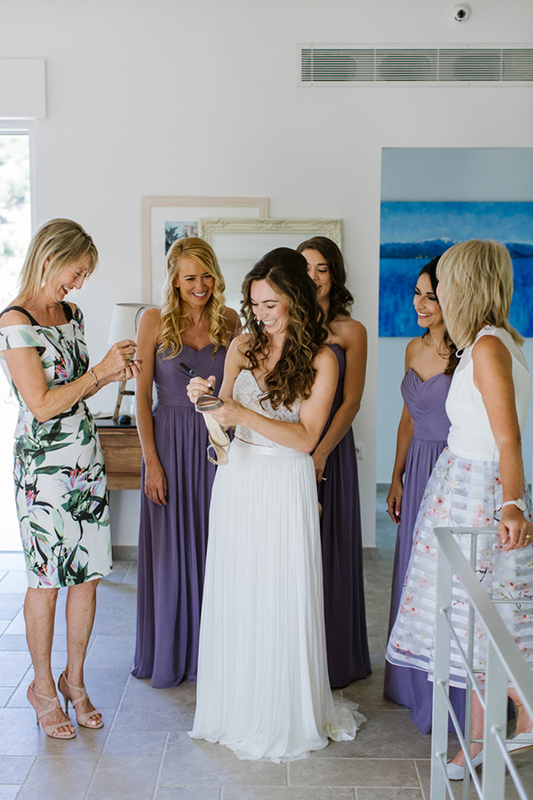 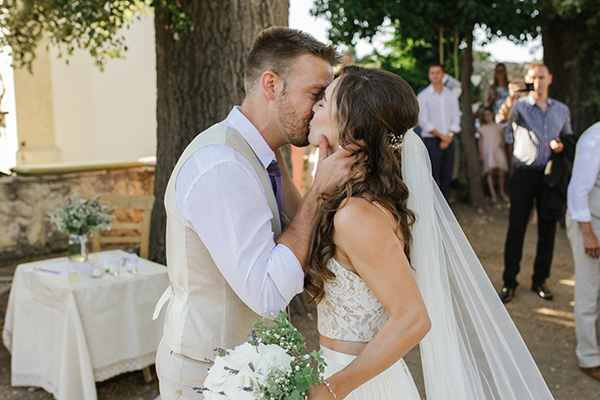 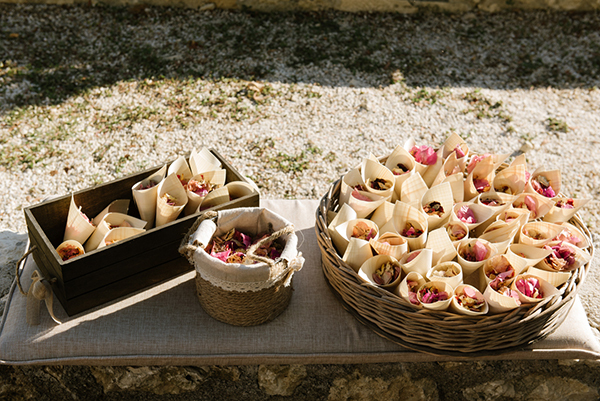 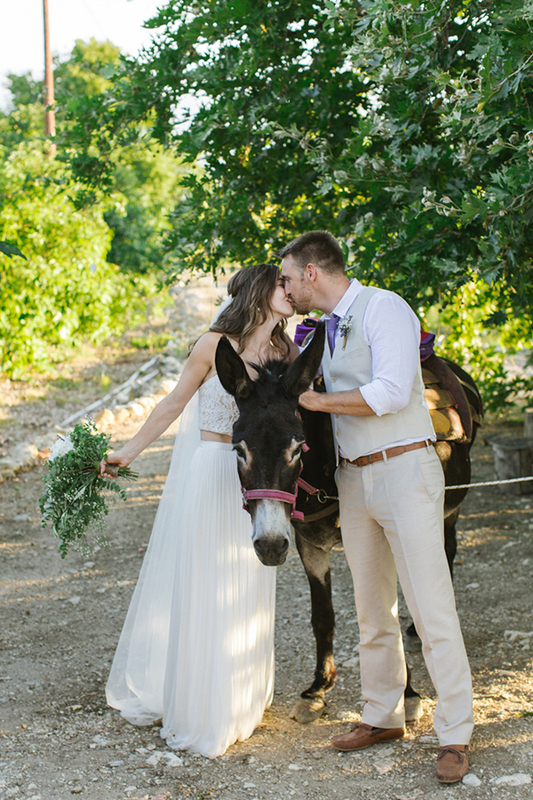 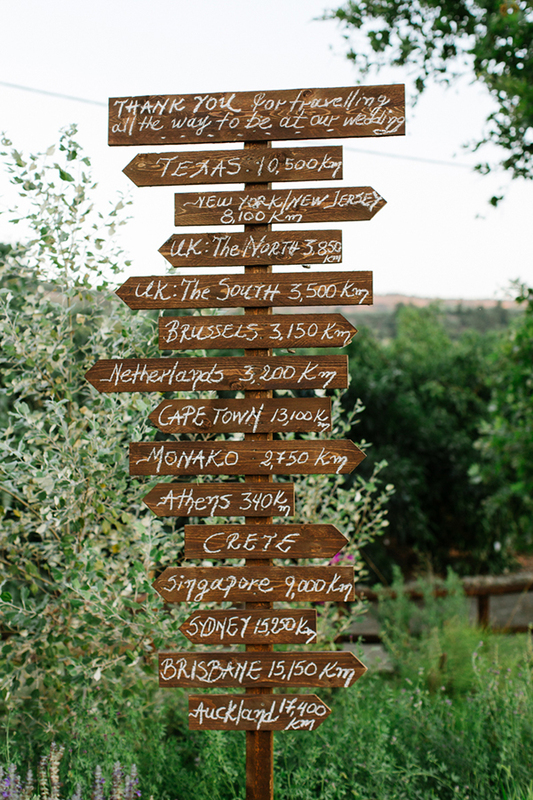 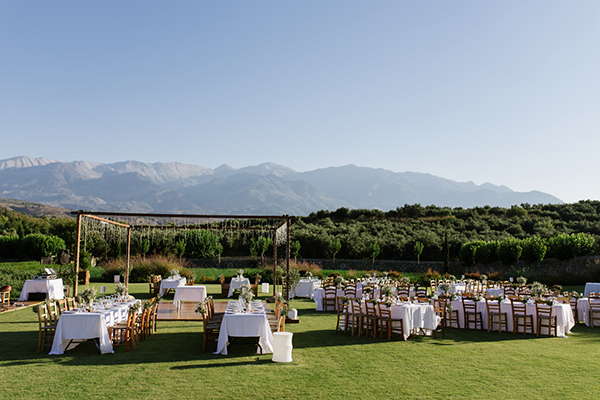 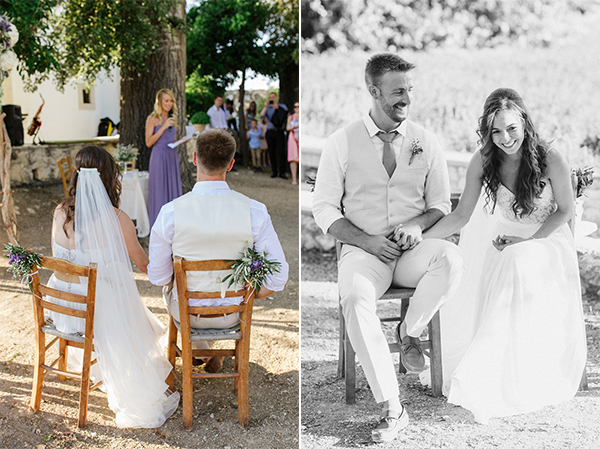 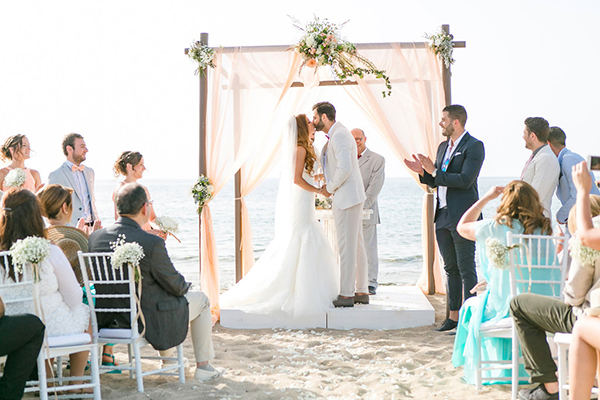 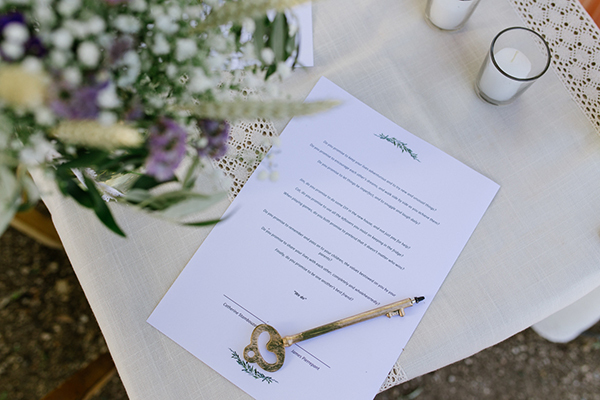 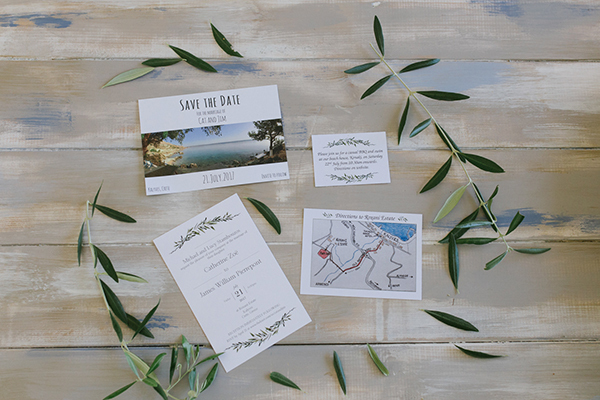 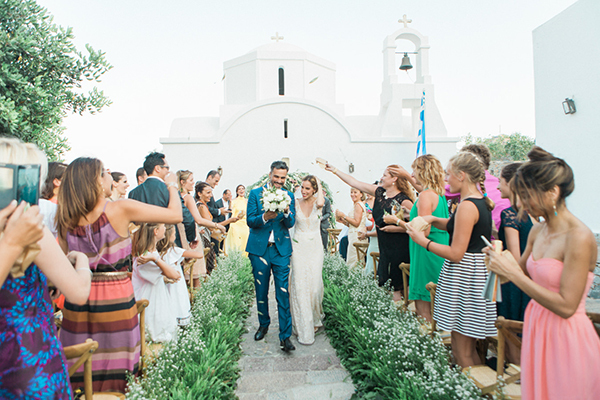 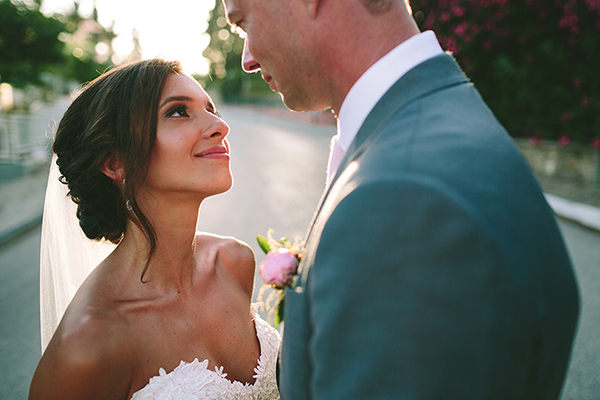 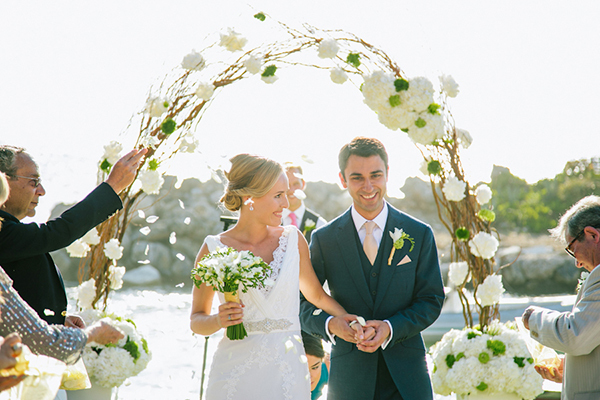 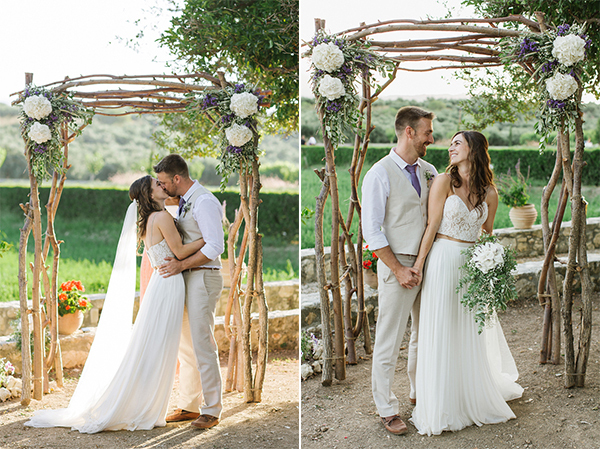 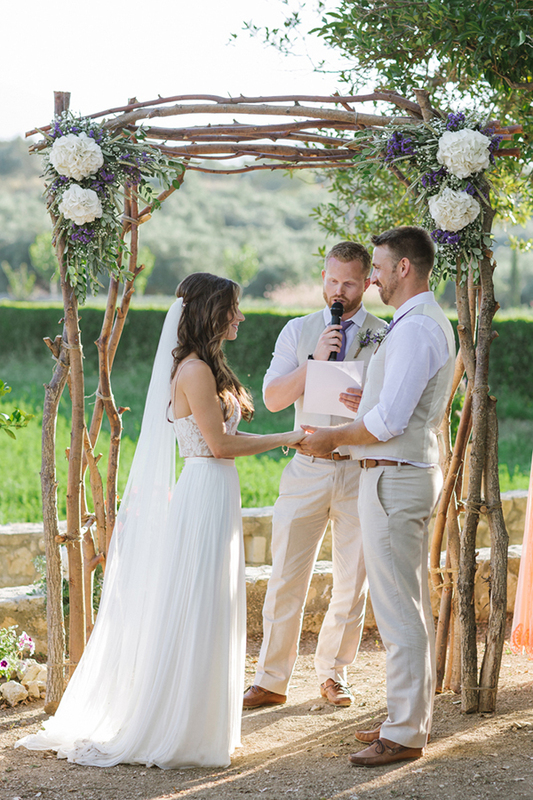 The beautiful rustic wedding in Crete we are sharing today will mesmerize you! 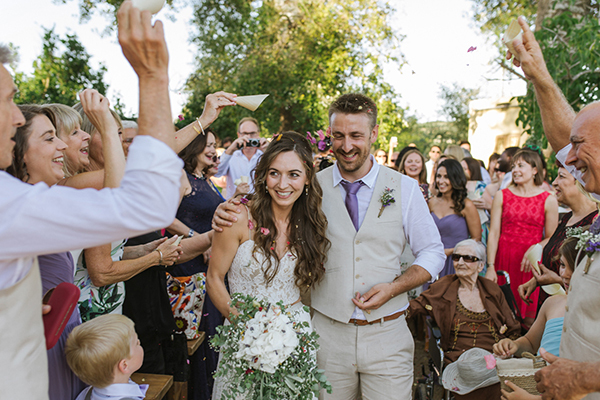 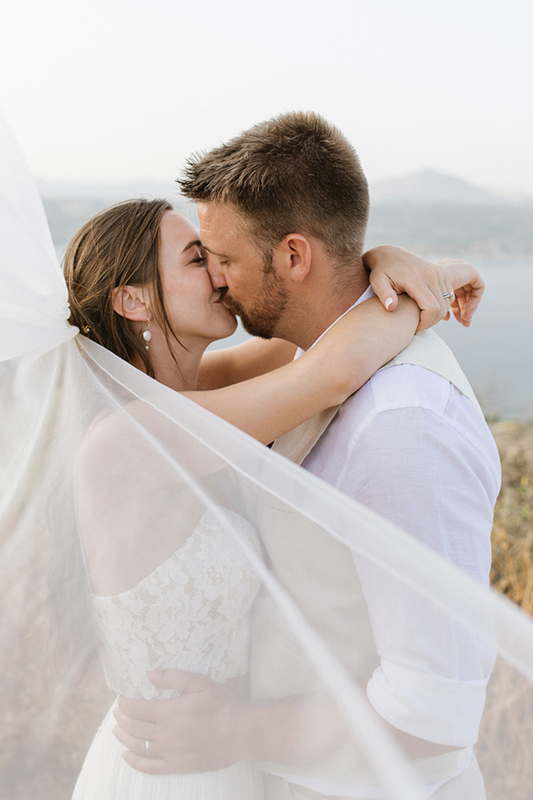 The lovely couple travelled all the way from Australia to have a gorgeous destination wedding in Crete, bride’s place of origin. 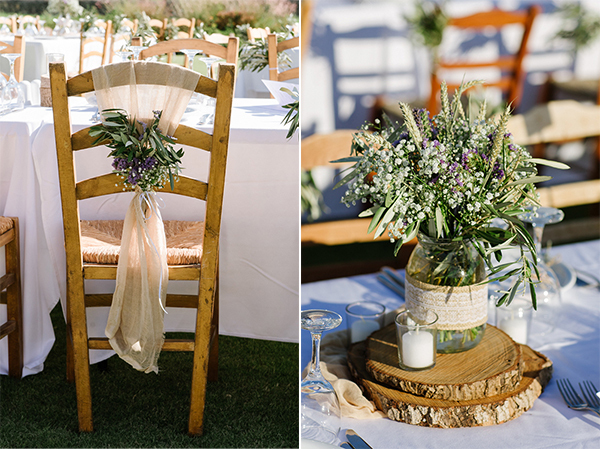 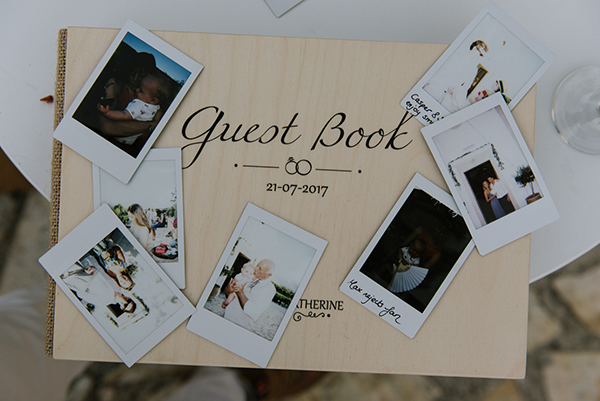 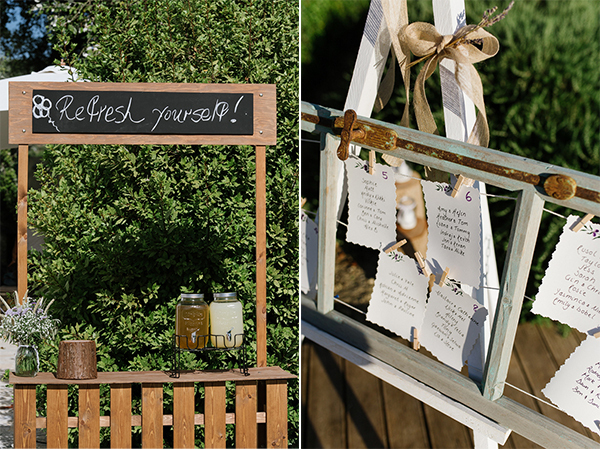 The wedding took place at a beautiful estate, which was decorated with lovely flowers and rustic details such as canvas baskets, blocks of wood and wooden frames! 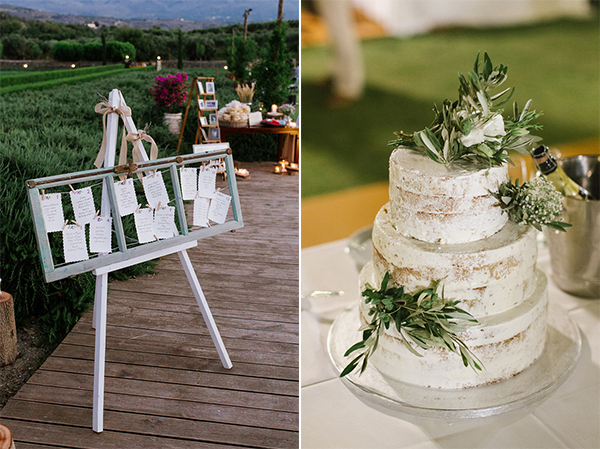 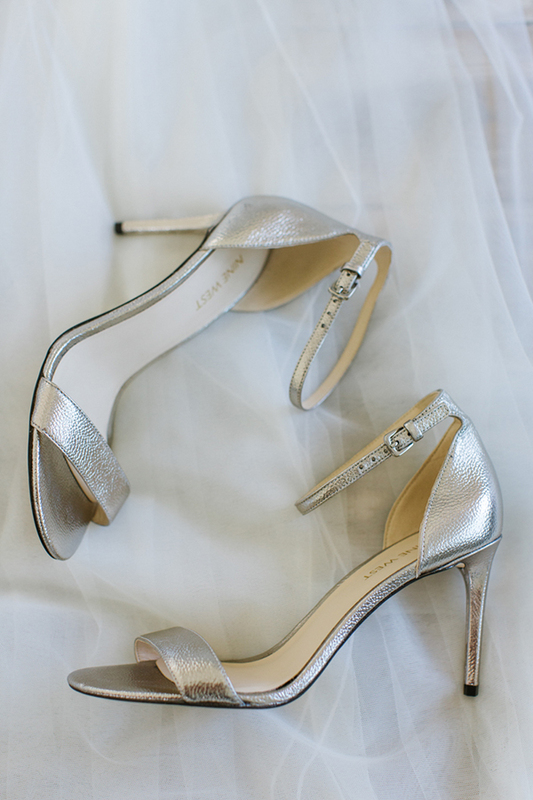 You will absolutely love this wedding! 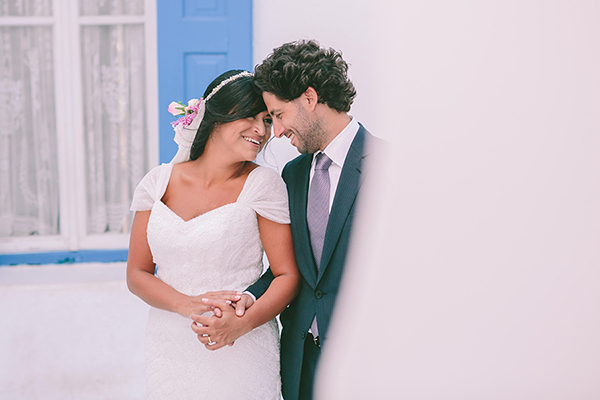 “We met at work. 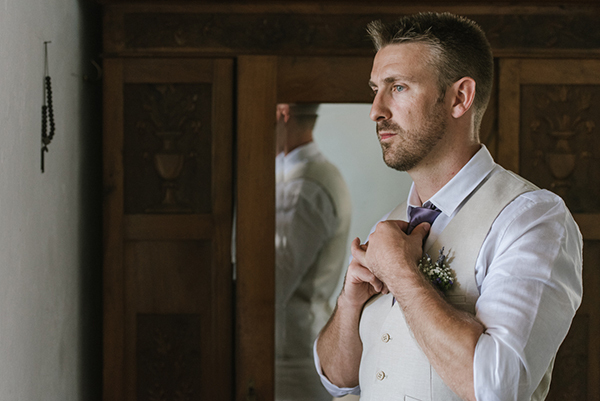 James was interviewing me for a job. 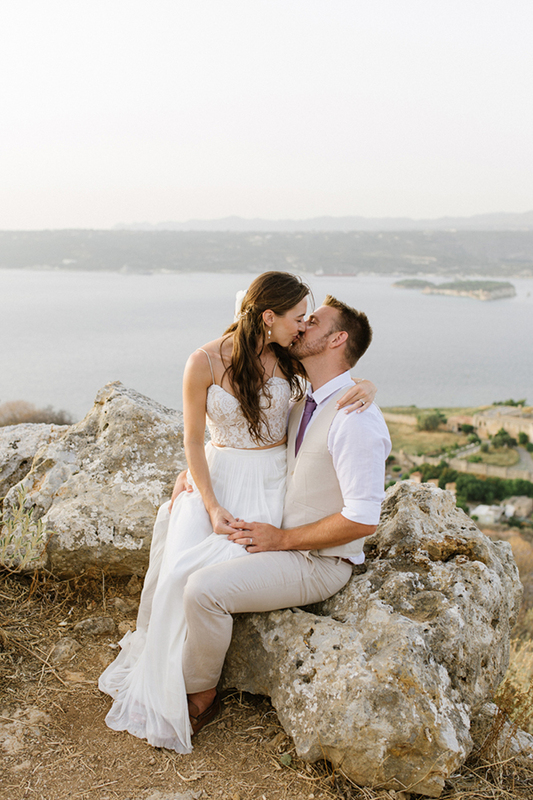 He proposed while we were on summer holiday in Crete. 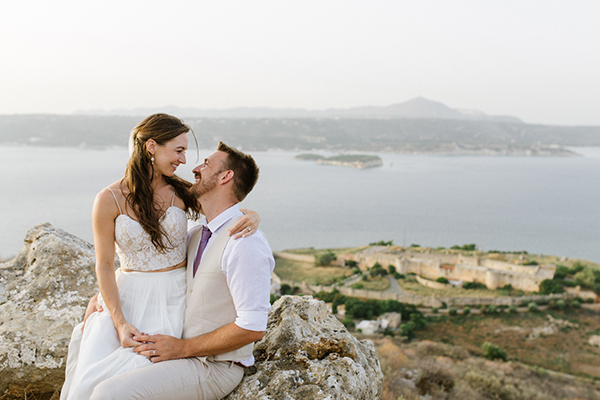 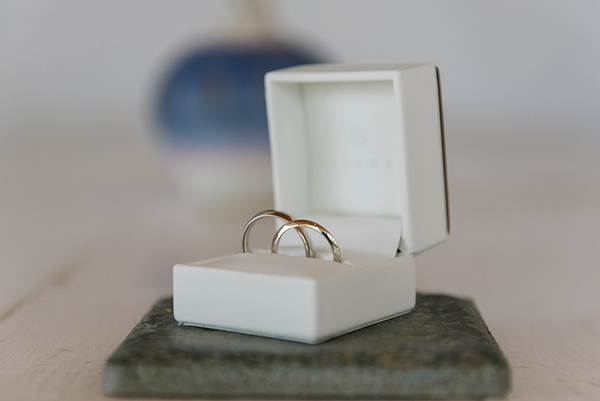 He took me up to the fort at Aptera (a place very special to my family) and proposed at sunset”, the bride shared with us. 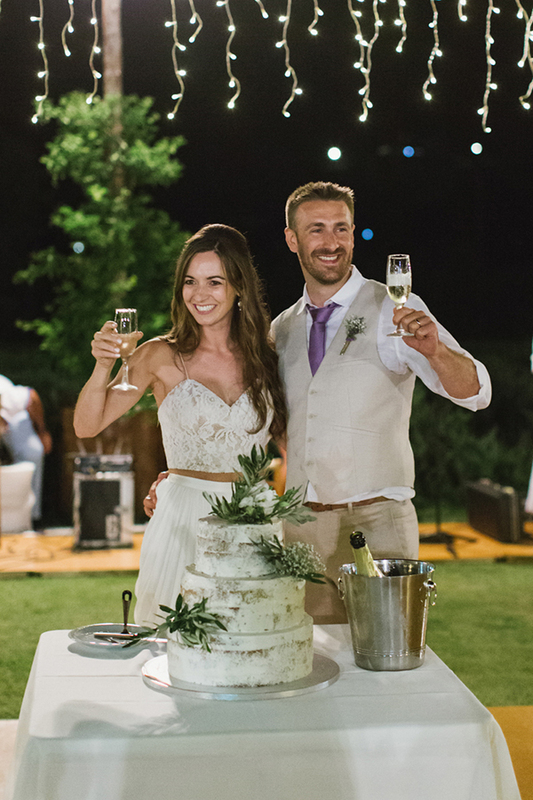 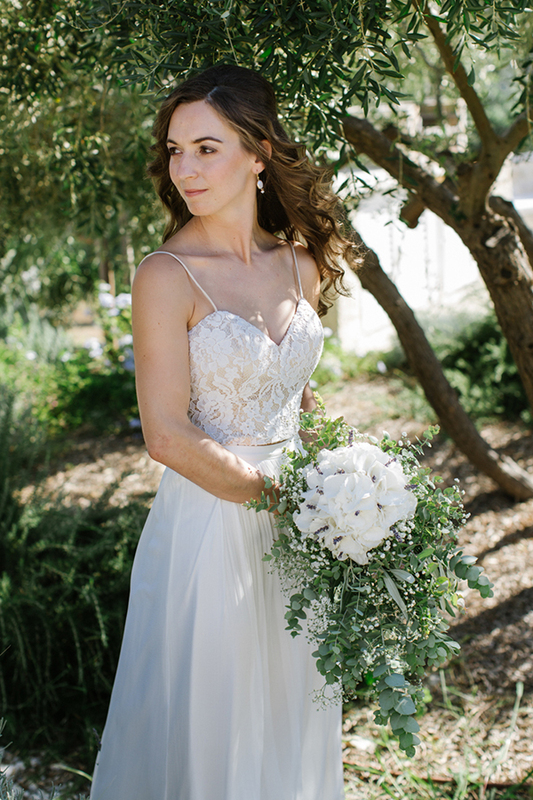 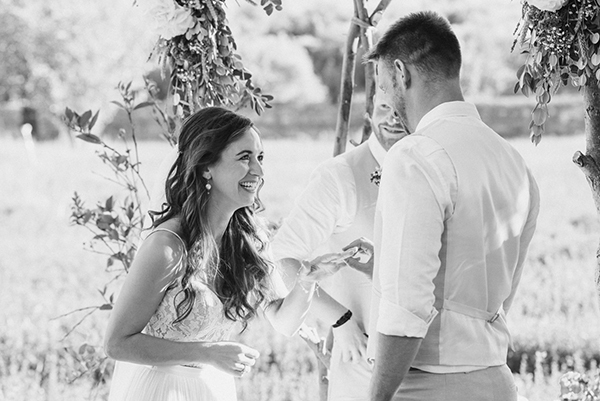 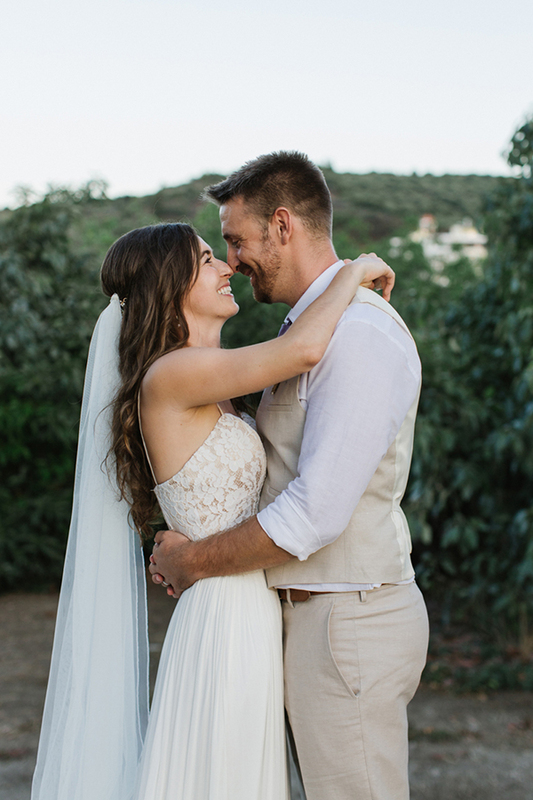 “My dress was in two pieces, a cropped lace top with thin satin straps and a soft champagne satin under the lace, and a tulle ivory full length skirt with satin waistband and small white buttons at the back. 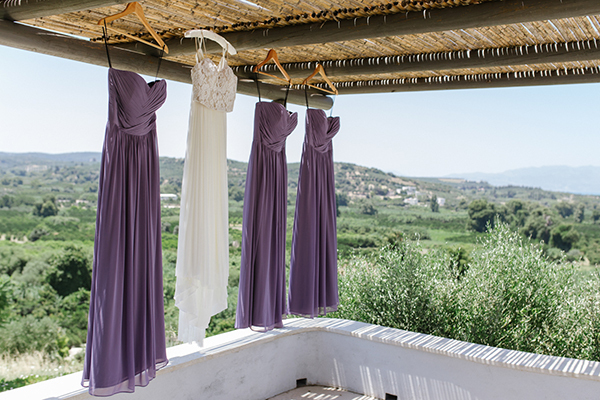 The bridesmaids wore beautiful lavender dresses from Dessy”. 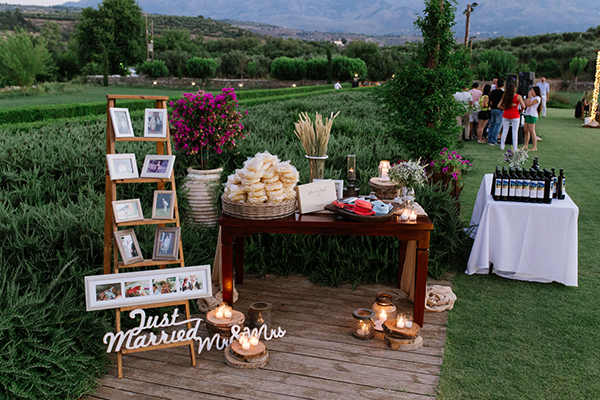 “We got married at Ktima Roxani (Roxani Estate), just outside Armenoi. 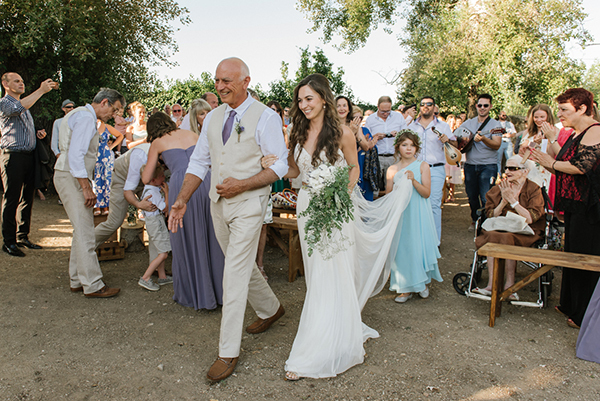 The ceremony was outside under the poplar trees”. 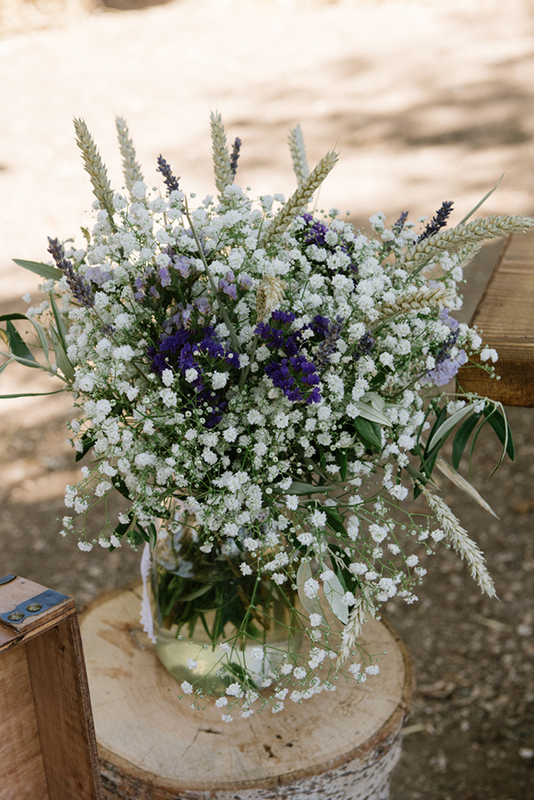 “My bouquet consisted of white hydrangea and lavender, baby’s breath, amaranthus and eucalyptus leaves, we live in Sydney and eucalyptus is very Australian”.